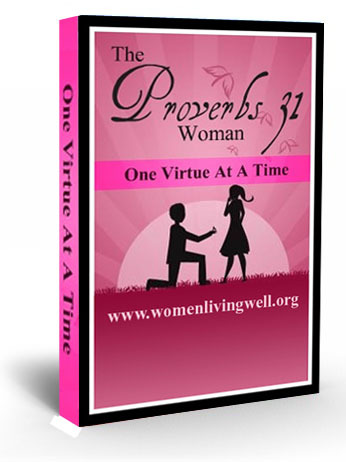 The first book I finished for this new year is the free e-book, The Proverbs 31 Woman: One Virtue At A Time. The recommendation was to read one chapter a day. But I could not wait, I finished it in one day. It is an easy read at 43 pages. The author Courtney is from Women Living Well Ministries. I found her excellent blog while blog hopping and I immediately added hers to my RSS reader. 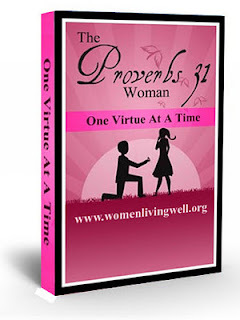 What led me to her blog was the free e-book and the topic of Proverbs 31. I will never be tired of studying Proverbs 31:10-31. I have stated many times how I aspire to be one. Yes, that woman which Solomon wrote in Proverbs is not just a pigment of his imagination. I hope you are as enlightened and refreshed as me. Now, every time I have to tackle a house chore I least like, I think about the Proverbs 31 woman and I stop complaining and do the task willingly. When I am tempted to be idle, I remind myself there is more I could do. The Proverbs 31 Woman just raised the profile of stay-at-home wives and mothers. We all can become so much more than society is depicting us to be. If you want to read the e-book, you can get it for free by "liking" the Women Living Well page on Facebook. Click on the Free E-book button right below her photo. I had been blessed with this book and I want more women to be blessed as well.